All while costing a quarter of what its Blue Oval competitor costs. Oh how embarrassing. 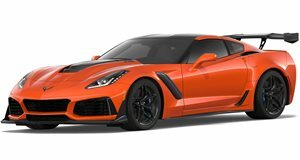 Just a few days after with the GT, Chevrolet just had to come through with its shiny new Corvette ZR1 and blast the Blue Oval-branded supercar to pieces. Send your prayers towards Ford right now because this is downright shameful. The Ford GT is steeped in history, intended as a supercar that can beat Ferraris on the track and proved that it could do just that at LeMans. The current GT was an all-hands-on-deck battle against the laws of physics, built to do little more than rub the noses of snooty automakers like Porsche and Mercedes in the dirt with a superior lap time. And it worked. 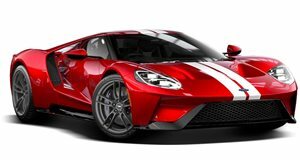 The problem is that to garner its 2:38.36-minute lap at VIR, the Ford GT had to compromise everything that makes it American and become just like the snooty guys. Instead of a V8 with wings bolted on to the body, the GT features a twin-turbo EcoBoost V6—mounted in the midsection no less—along with fancy aerodynamics and a price tag high enough to make proponents of the caste system and trickle-up economics balk. Not so for the Corvette ZR1. It’s unabashedly American. Especially because it just beat the Ford GT around VIR with a lap time of 2:37.25 by using sheer muscle and add-ons that a blue-collar worker with CAD skills and a fiberglass workshop could have come up with. The ZR1 has a V8 mounted up front—supercharged and not downsized— is soup-ed up and based on a cheaper version of itself, and still costs at least a quarter of the price of the car it just beat. How much more American can you get? Drape it in a confederate flag and call it General Lee if you want, but that won’t make a difference. Of course, Ford can always go back and say that it didn’t care about turning a lap record at VIR and that lap times are not what the GT is about, but c'mon. This is America. We like winners, not complainers. If you'd like to watch the ZR1 bask in all of its supercharged glory while setting the laptime record at VIR, check out Chevy's dashcam video of the run below.